This classic item can not be missed on any cowl, backpack or bag. 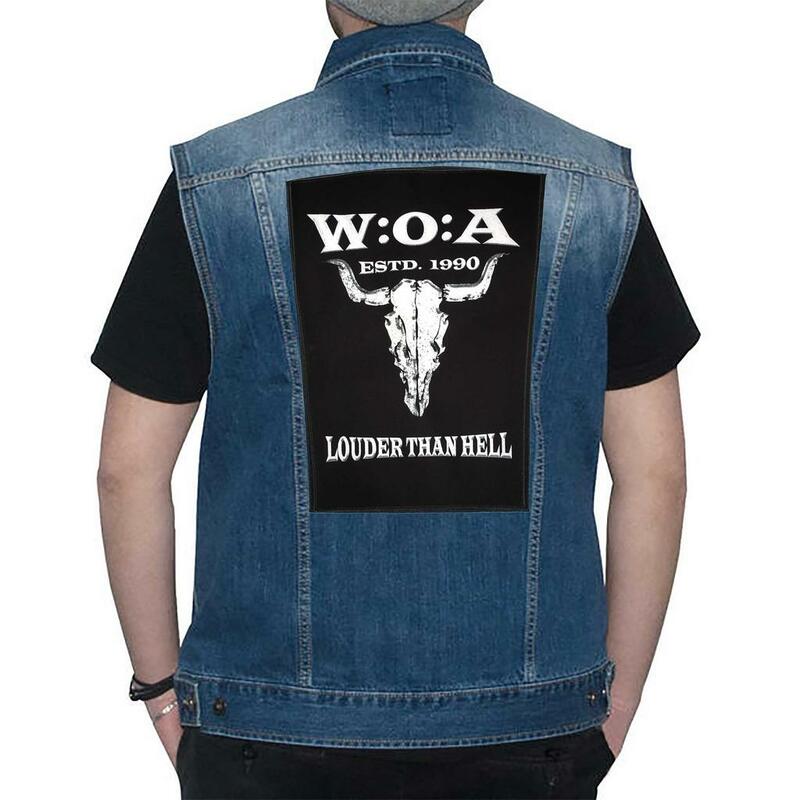 This W:O:A backpatch is available in a large design: 28cm x 36cm. 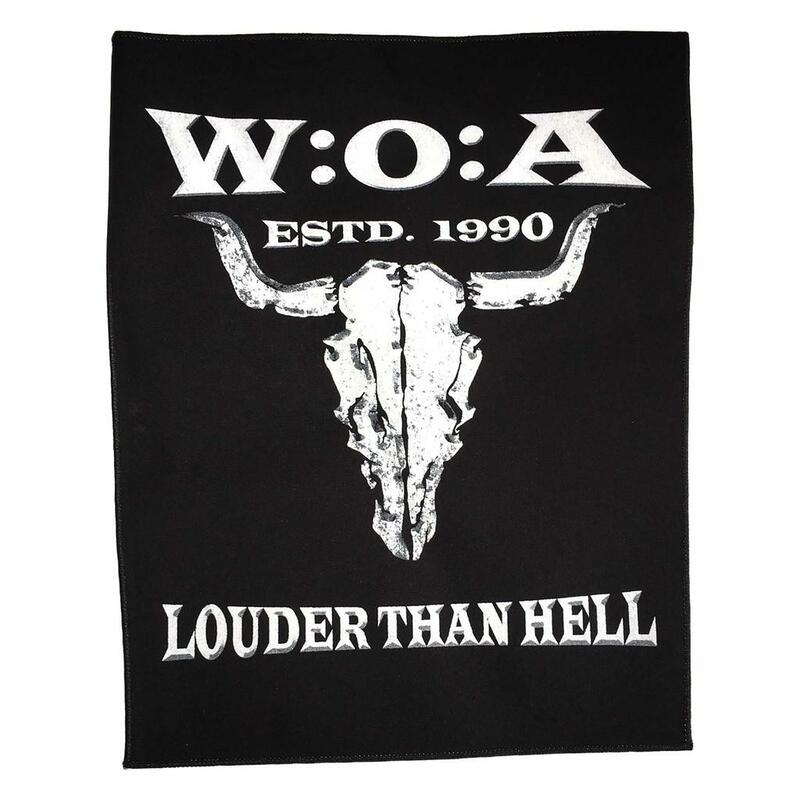 It is factured in simple black and printed with the bullhead, the W:O:A lettering as well as the slogan "Louder Than Hell". A real eyecatcher for every fan.